Queen Mary I – they called her “Bloody Mary”. You figure it out. Edward VIII – fell in love with an American, abdicated the throne, turned Nazi and moved to France. No good. Anne Boleyn – She was neither old nor ugly. Got her head chopped off. 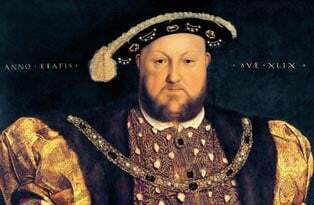 Jane Seymour – Henry seemed to love her. In what might have been a bit of luck, she died soon after giving birth. Anne of Cleves – Henry was convinced to marry her when he saw her portrait. Much like those a match.com and tinder photos, the portrait was, well, not accurate. The painter was beheaded, Henry’s marriage to Anne annulled. Catherine Howard –First cousin of Anne Boleyn. Suffered the same unfortunate fate. Chop, chop. Catherine Parr – the last of the six. She outlived Henry by a year. Lucky girl.